I broke out my Set A Marti Michell Templates for the triangle pieced blocks. It felt like Christmas again when I realized that Set A will work for these 3" blocks. We can use it again! They are super simple so far. I am obsessed with Alegria shoes. like 20 more...just curious what is out there that I am missing. Who knew how close she lives to me?? I found an etsy seller that had fat quarters of Woodland by Lecien and Cinderberry Stitches. 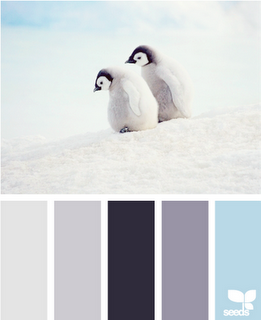 I think it will mix well with Moda colors in Little Apples etc. A bag that I am making for my staff this Christmas. 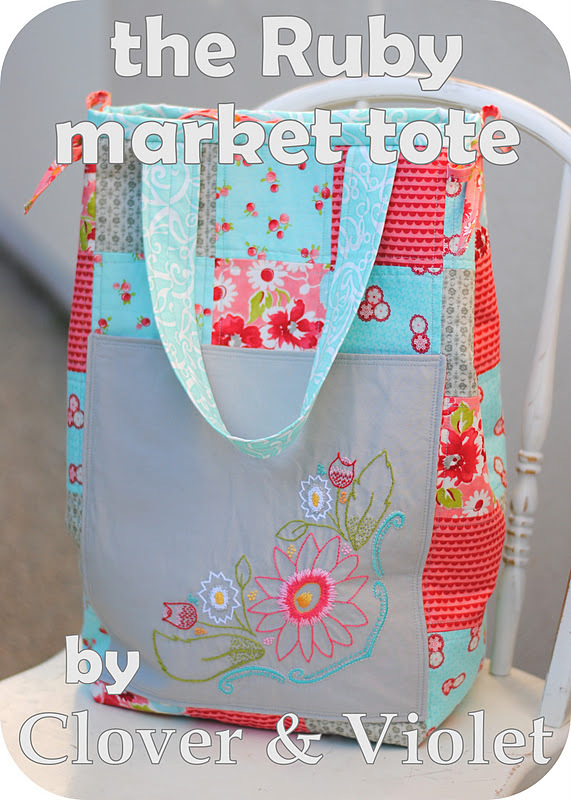 It is a pattern from the Vignette #5 magazine. it's not as good of an idea as we thought. I finally made the pdf of the Lalaloopsy sized pattern. There aren't any detailed directions yet. just in case you have time to whip one up. 13" Lalaloopsy sized dress pattern PDF here. I haven't made a tutorial for this yet. Basically cut 1 front of the pattern, 1 back, 1 back reversed from dress fabric. I used Riley Blake Hoos in the Forest print. I sewed a 1/4" grosgrain ribbon across the dress front before I hemmed or sewed any seams. I used velcro for the back closure. If you make one or 2 please post a picture on my flickr group. I'd love to see what you make. disclaimer: I am in no way associated with Lalaloopsy maker MGA. I receive no profit from this design. there are some pretty awesome bloggers out there. I follow a TON on my side bar and many more in google reader. 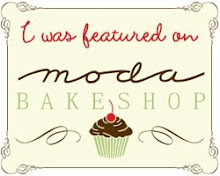 Lately, with the intrusion of Pinterest...I have stumbled upon many blogs I didn't know existed or I didn't 'follow'. I have found so much inspiration that I thought I would share. maybe a picture or 2?? her photography is fab too! 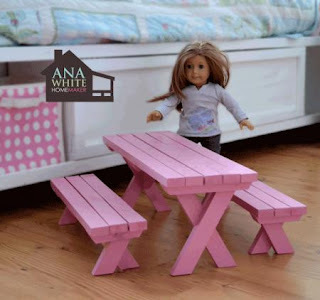 there are no words for how awesome Ana White is. Last weekend we traveled to Iowa to visit my family. It was the "first" Christmas gathering of 2011. We will have Christmas with just the kids on the 25th. The trip to Iowa was really 2 fold, Christmas and my mom's 60th surprise birthday party. It was a HUGE surprise for her. All of my sisters participated and my brother as well. It took a great deal of planning and organizing but somehow we pulled it off. My mom was a tough cookie though as she refused to come into the party hall. She was told it was a party for my dad's friend...but it was really for her. Overall it was a great weekend. Now I am trying to play catch up. I don't really want to leave my recliner. I did pick up the mail yesterday and there was my copy of Vignette Issue #5. It's packed full of eye candy. There is a bag pattern in this bag that I want to try. but my time IS running out. Part of our Christmas in Iowa is that all the adult kids buy a gift for one another. My sister Marie got my name and she went on amazon and found 2 of my top rated books. Quilting from the Little Things and Sew to Swap. I was able to leaf threw them on the 9 hour drive home. This weekend I 'hope' to accomplish something but I'll tell you...I just want to rest. One of my favorite Christmas Ornaments this year. Half eaten Gingerbread man is genius. My friend Jane gave me one last year and I finally searched out the pattern online. Probably not time to make any this year but I am 'tucking' it away for the future....I'd like to give one to each of my sisters and brother for Christmas next year. Okay, I am back to my sewing machine for a couple of hours. Nothing to show as this stuff isn't quite ready yet. 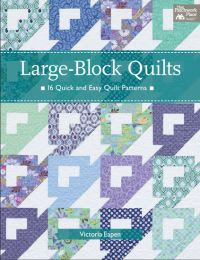 I have recently reviewed a new basics quilting book for House of White Birches. 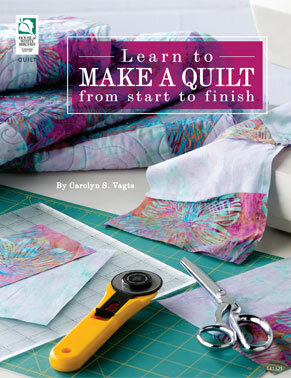 Learn to Make a Quilt from start to finish by Carolyn Vagts is packed with just the basics. 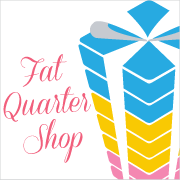 I have been quilting for 15 years and 'thought' I know just about everything there is to know about quilting techniques. But I know there is still more for me to learn! 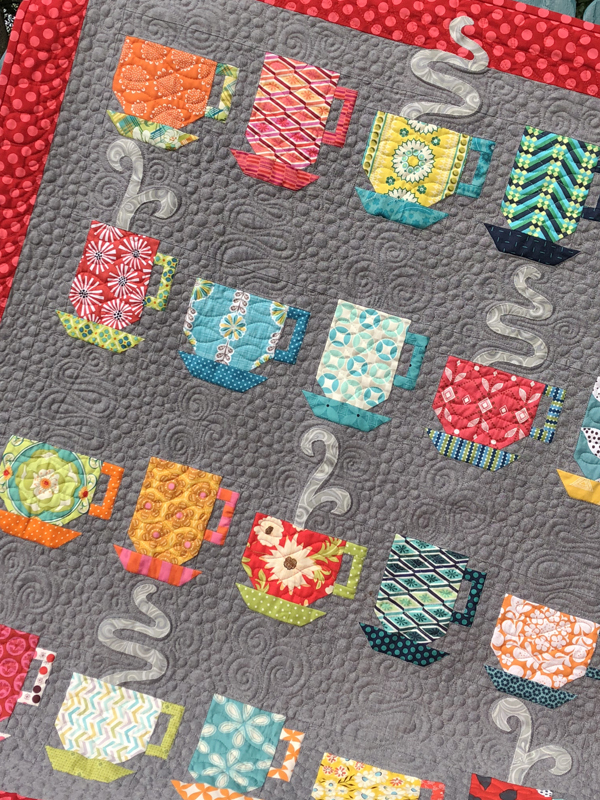 Learn to Make a Quilt from Start to Finish includes advice on everything from fabric and pattern selection to cutting techniques and tips on completing a quilt. 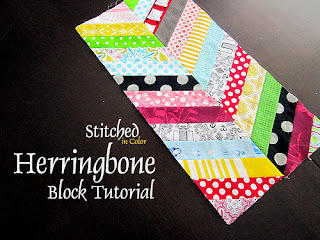 It focuses on one pattern, with one block that can be turned in different directions to create a number of different designs. The book is written to teach beginners how to make a first quilt, with step-by-step photos that walk the quilter through each stage of the quilt-making process. Added tips and insights on techniques are included to make sewing easier and more accurate. 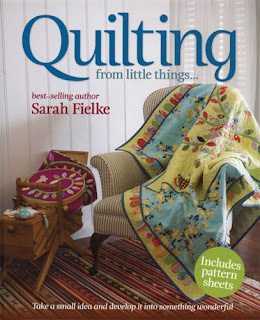 It's definitely a great book for your quilting library. If you'd like to win a copy, please leave a comment. I will randomly chose a winner on Dec.6th! This was my retail therapy the night before my surgery. Oh no there is a story behind this fabric. I mean a LONG story. I have never ever had fabric cutting take so long. 19 half yards took 40 minutes. then the clerk didn't charge 2 of the prints so they took another 15 minutes to figure which ones they missed. mainly because my nearest JoAnn's didn't have the new line. I was in one of the Columbus stores before my mom's flight arrived. Thank goodness I really allowed myself extra time! I have been longing to make some doll clothes for my girls' dolls. They have several dolls but it seems that the LaLaloopsy's are the favorite plus my Grace loves American Girl. I just finished a messenger bag for her A.G. doll. but now I am creating Lalaloopsy sized clothes. I drafted several patterns for the 13" Lalaloopsy from scratch to make an A-line skirt, jumper, pants, t-shirt and I hope to make a hat soon too. I just basically measured the doll arms, legs, waist, neck etc and kind of drew them based on how I have sewn other patterns. I didn't copy patterns. They are basic but super fun. I have loads of ideas for embellishing the clothes too. Once I am feeling better then I may make pdf's of the clothes. You'll be the first to know when they are done. These Vintage Fabric shapes from Pugly Pixel are awesome clip art for your blog! I so want to do the premium membership so I can get all the shapes.